When you spend as much time on the road as The Royal Ballet's Steven McRae, getting access to a proper gym can be a hassle. To stay fit, the Australian-born principal turns to calisthenics—the old-school art of developing aerobic ability and strength with little to no equipment. "It's basically just using your own body weight," McRae explains. "In terms of partnering, I'm not going to dance with a ballerina who is bigger than me, so if I can sustain my own body weight, then in my head I should be fine." Today, McRae shares videos of his workouts on social media (where he has approximately 150,000 Instagram followers). They are often shot in his dressing room, with a chair as the only prop while he does développés from an arched handstand, for instance—a feat of upper-body strength and flexibility. "I think people are genuinely intrigued and interested in what we do: I get lovely comments offering suggestions to alter the exercise." Steven McRae at the 2003 Prix de Lausanne performing the variation from "Le Corsaire." Photo Courtesy Prix de Lausanne. This week, young ballet dancers from across the globe have been studying and competing for coveted scholarships at the Prix de Lausanne. 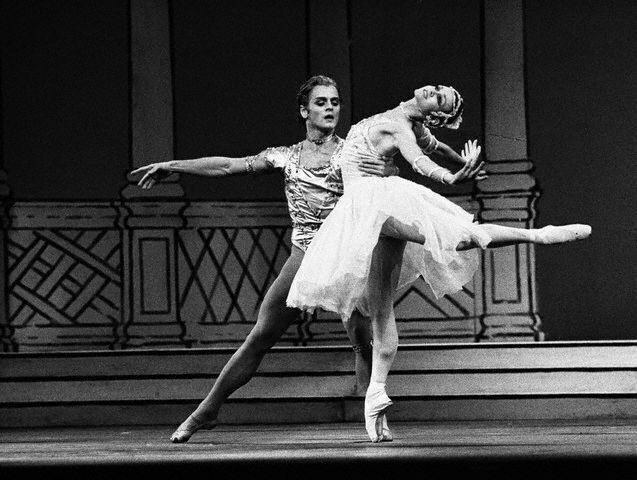 This infamous competition has been a launch pad for many of the ballet world's biggest stars. One such star is Royal Ballet principal Steven McRae, who was a prize winner in 2003 with these two outstanding performances in the finals. Lin Fujimoto, Matthew Maxwell, Harris Beattie, Ryan Felix and Lucy Christodoulou. Photo by Bruno Simao, Courtesy of the Royal Academy of Dance. Over the past week, 52 dancers from 14 countries trained in the Royal Academy of Dance syllabus flocked to Lisbon, Portugal, for the 2017 Genée International Ballet Competition. After four days of coaching (see highlights on our Instagram), the dancers competed in two days of semi-finals. By Saturday, the pool had been narrowed to just 11 contestants who performed in the finals at Teatro Camões; five lucky dancers took home medals. The prestigious gold medal (past winners have included ballet stars such as Stella Abrera and Steven McRae) went to 18-year-old British student Harris Beattie. 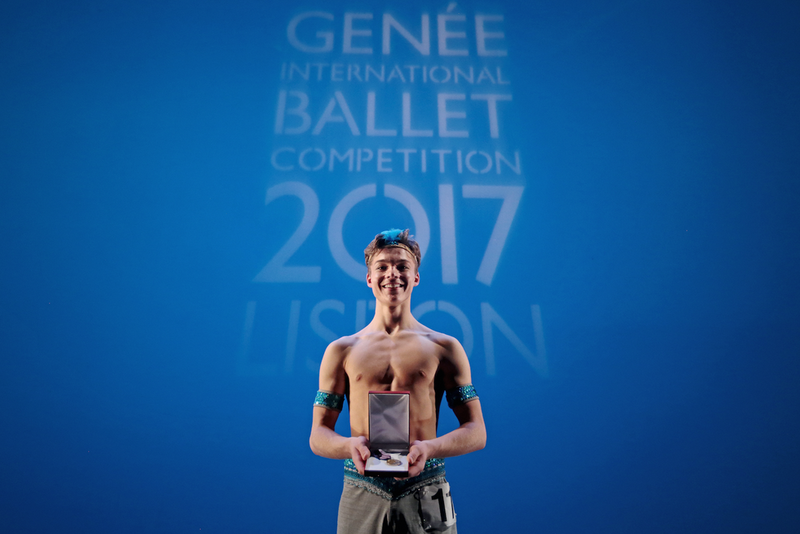 Beattie made Genée history this weekend as the first dancer ever to win all three awards: gold medal, Dame Margot Fonteyn Audience Choice Award and the Choreographic Award, which he received for his Dancer's Own variation entitled Torn, which he co-choreographed with his teacher, Karen Berry. Beattie trains at the Central School of Ballet in London. Gold medal, the Dame Margot Fonteyn Audience Choice Award and Choreographic Award winner Harris Beattie. Photo by Bruno Simao, Courtesy of the Royal Academy of Dance. In the spirit of honesty, we'll just come out and say it: Here at Pointe, we're not exactly tap dance experts. But that doesn't mean we've never taken tap, nor that we're immune to the beauty, technicality and historical importance of tap dance. It's just that the dance world doesn't often see crossover performers showing off both their ballet and tap expertise. There's a lot going on here: McRae, an Australian, is a principal dancer in the UK's largest ballet company. He's combining a uniquely American dance style with the music and historical mannerisms of a specific Hungarian folk dance—which itself derived from Romani music. But that's the beauty of dance: Its ability to communicate across languages and cultures—even across time. So from one group of ballet devotees to another: Happy National Tap Dance Day! Miami City Ballet's Nathalia Arja with Renan Cerdeiro in Ballo della Regina. Daniel Azoulay, Courtesy MCB. Vishneva and Gomes brought their partnership to greater heights. In the BalletX premiere Sunset, o639 Hours, Chloe Felesina danced front and center, with an abandon, fire and precision that made her riveting. The dreamlike adventure tale, choreographed for 10 dancers by BalletX co-founder Matthew Neenan, was based on the true story of Captain Edwin Musick's ill-fated Honolulu-to-Auckland flight in 1938. As the famous pilot's wife, and in her other roles in the ballet, Felesina's depth of feeling was matched by a robust agility. She shone in scenes portraying the couple's romance, the island life of New Zealand and her solitary bereavement. Rocas, with Rory Hohenstein, brought sweeping lyricism and dramatic ingenuity to the role of Juliet. A couple of years back, Joffrey Ballet dancer Christine Rocas confessed: "I'm always scared to do modern things…I try to be spontaneous, but I know I look funny at first." Rocas, 28, definitely didn't look "funny" in her opening night performance of Polish choreographer Krzysztof Pastor's Romeo & Juliet in Chicago this past April. 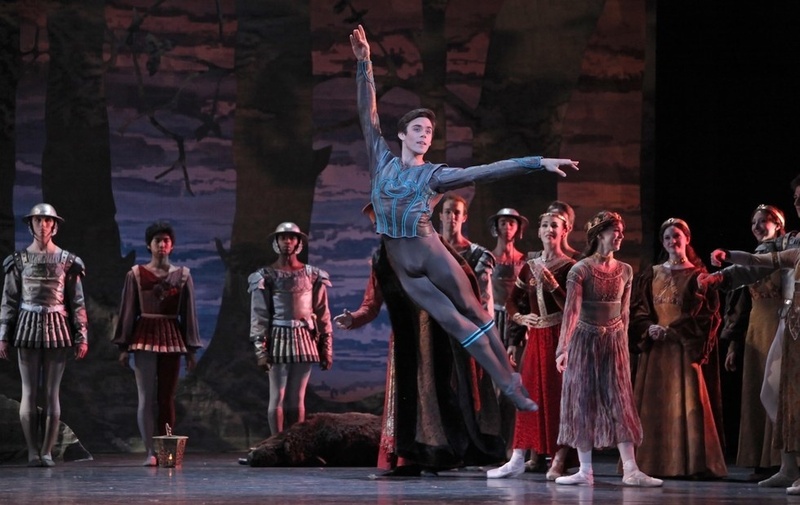 And Pastor's take on the story was supremely contemporary—not at all like the Kenneth MacMillan or John Cranko versions for which Rocas' lyrical, weightlessly lovely style would have been a perfect fit. In fact, as Juliet, Rocas seized hold of Pastor's starkly modern, sweepingly cinematic reinvention, which used 20th-century Italian history as a backdrop. Masterful in her embrace of the ballet's mix of difficult classical and contemporary technique, she revealed a powerful, highly individualistic, surprisingly dramatic talent. Hernandez (left) stole the spotlight in Les Lutins. Ballet and tap seem like polar opposites: one preoccupied with line and form, the other with rhythm and sound. 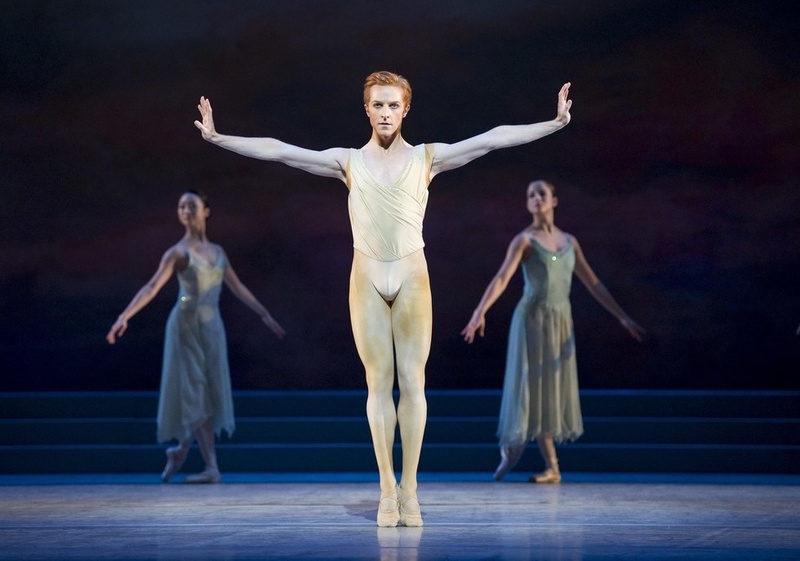 But the two styles have more in common, says The Royal Ballet principal Steven McRae, than you might think.